Our experience is that Supply Chain and Transportation costs are a vital driver of profitability for many companies. We help our clients analyze their supply chains from a Lean perspective to eliminate waste, synchronize flow and reduce transportation and logistics costs. We bring a Lean methodology to Supply Chain networks to save you time and money. 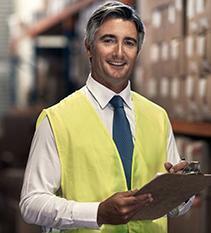 We helped a major distributor identify and implement savings worth 14% of cost areas reviewed. We brought a Lean methodology to focus on value drivers, eliminate waste and optimize flow. Savings were identified in warehouse operations, reduced inventory and reduced transportation costs. We help clients increase market reach while optimizing logistics networks within North America. We helped a client undertake a strategic review of port infrastructure as well as land and marine transportation capability in the upper St Lawrence River and Lake Ontario regions. The St Lawrence River and Great Lakes Waterway Region possess strategic growth opportunities and a cohesive logistics strategy was required to guide future expansion. We help clients navigate complex rail, road and water networks in North America and negotiate effectively with service providers. We help clients assess and design rail accessible systems so they can maximize the use of rail and its lower cost per ton mile advantages. We also help clients assess and design transportation systems maximizing use of Long Combination Vehicles and other technological innovations.